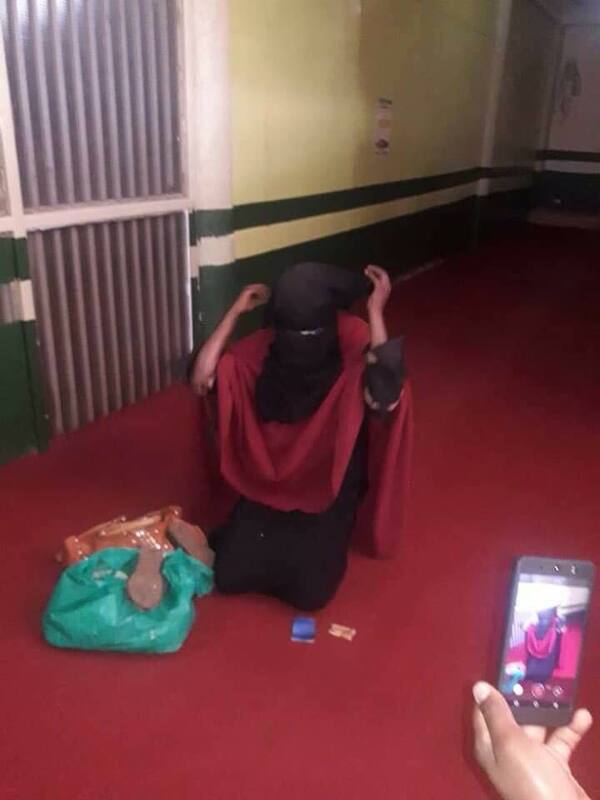 A Christian lady in Hijab was recently arrested by security operatives for allegedly stealing and fraud. 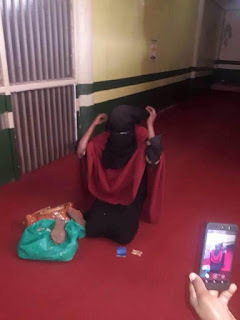 According to a Facebook user who lives in Sokoto, the girl disguised herself as a Muslim with Hijab in order to infiltrate the area where she carried out her nefarious act before she was apprehended. 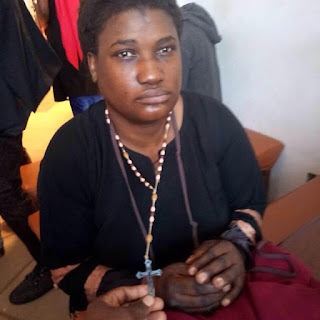 The lady who later revealed she's a Christian, was seen with a Rosary on her neck after the Hijab was removed and is said to be in police custody.